The Department of Veterans Affairs admitted this month that its 10-year, $10 billion-plus project to create an interoperable electronic health record system incurred a $350 million cost overrun right out of the gate–a potential red flag in the latest effort to develop an integrated records system that also works with the Department of Defense’s system. At a hearing of the House Veterans Affairs Subcommittee on Technology Modernization, John Windom, who’s leading the VA project, said original estimates did not include 10 years’ worth of salaries for government employees working on the project, resulting in the $350 million overrun. But Windom, executive director of the VA’s Office of Electronic Health Record Modernization, said that Congress had been told that those salaries would not be accounted for in the EHR contract. He also contended that as the project progresses it will likely produce efficiencies that could save on projected costs. “There are going to be efficiencies gained we can’t forecast at this point,” he said. Banks, who in August warned that unfilled leadership positions at VA threatened the project, said he wasn’t “ready to sound the alarm yet,” but that the overrun at this early stage increased concerns over what he called a “daunting” project. VA in May awarded a 10-year, $10 billion contract to Cerner to modernize its healthcare information technology systems and develop an integrated EHR system. Related costs of the project have since raised estimates of its total to $16 billion. In July, VA formally agreed to align its system with that of DoD, which is implementing Cerner’s Military Health System Genesis system under a 10-year contract signed with Leidos in 2015. The original amount of that deal was $4.3 billion, although DoD in July increased its budget for the project by another $1.2 billion. DoD implemented MHS Genesis last year at four bases in the Pacific Northwest. After system glitches and negative user feedback put the project on hold early this year, the pilot sites were eventually up and running over the summer. Defense and Leidos spokespersons countered criticism by saying that early difficulties were expected in a project of this size, but that they expected the rollout to go as planned. The VA last month announced it was testing the system at four more sites (three in California and one in Idaho). The VA plans to deploy the system at every medical facility over the next five years. Despite assurances from the project’s directors, Congress’ concern over the project could be fueled by past failures. 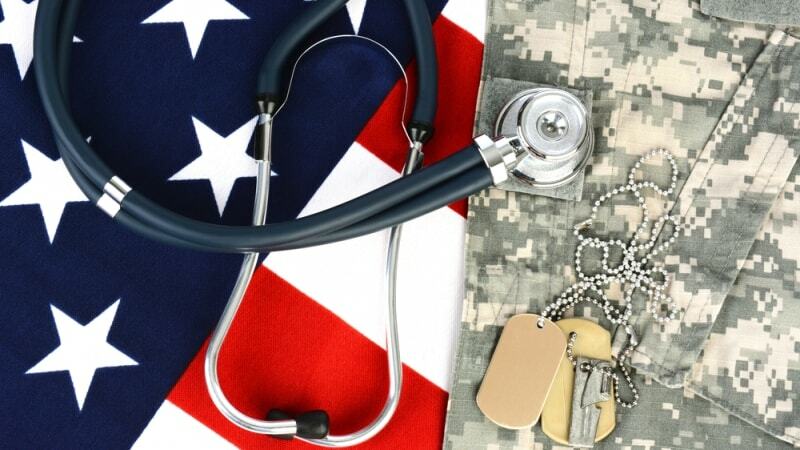 DoD and VA have been trying since 1998 to create interoperable, cradle-to-grave EHR that could stay with service members and their families from enlistment through retirement and post-military life. Several projects over the years have gone up in smoke, at costs of billions of dollars. Most recently in 2013 the two departments abandoned an integration project after four years and $1 billion spent, and opted to upgrade their current systems. The Coast Guard, which has joined DoD’s Genesis project, has had a similar experience, abandoning its own EHR project in 2016 after seven years and about $60 million, and retreating to a paper-based system.